If you’re in need of a chiropractor, Toronto is a great place to live. There are a number of excellent Toronto chiropractors in the city, our very own Dr. David Lee being one of them. Chiropractic medicine focuses on the health and alignment of the spine and the other bones and muscles of the body. 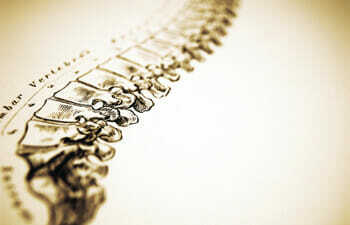 Treatment is composed of small and large adjustments to the spine, and back. Renowned for its impact on back and neck pain, chiropractic treatment is also recommended after an accident or injury and as part of the treatment plan for any disease or health issue that creates pain or tension in the body. The benefits of chiropractic care are that it can be useful not only in treating pain, tension and discomfort for short-term relief, and it can also be used for more serious conditions and diseases, sports injuries and rehab, and is very effective for long-term relief of pain conditions and stress disorders. Our chiropractic clinic is regularly used as part of an ongoing commitment to health and to maintaining a state of conscious well-being. It works well as a spinal check up in an active and integrated health care plan, as well as an effective way to support the immune system. During pregnancy, chiropractic treatment can help to align the back and pelvis, and prepare the mother’s body for childbirth. Chiropractic adjustments can also include Medical Acupuncture. The majority of Canadian workers have partial or full coverage for acupuncture services in their workplace health care plans. The acupuncture patient is provided with a detailed itemized receipt listing the services provided, the credentials of the treating acupuncture provider, as well as payment details for reimbursement. If you’d like to have a meeting with a chiropractor in Toronto, contact us today.